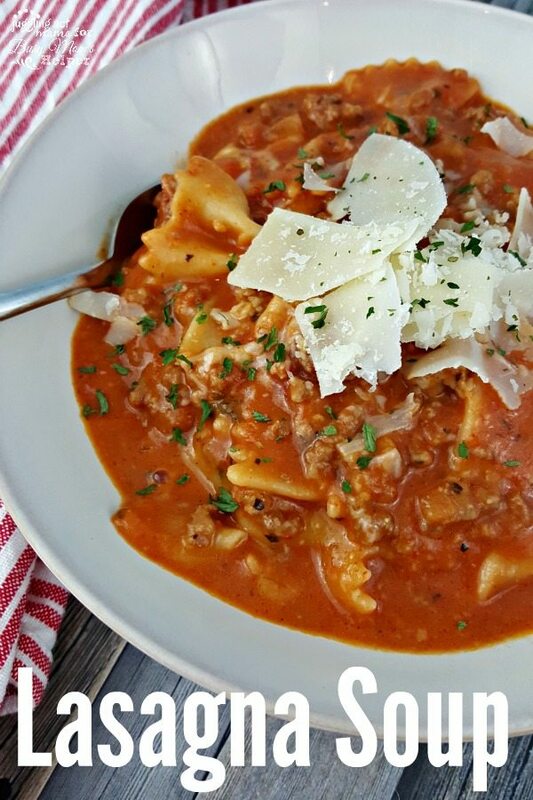 Quick Lasagna Soup is a hearty comfort meal with all the goodness of traditional lasagna without all the time and work! What do you do when company shows up at the last minute around meal time? If you’re anything like me, you want a dish that looks impressive but it easy to make. 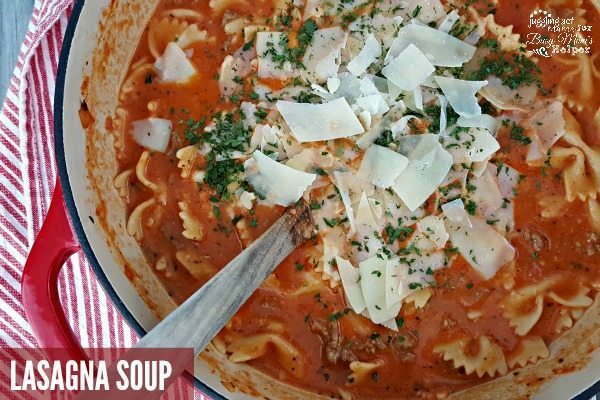 This lasagna soup fits the bill perfectly. I can make it with ingredients I typically have on hand, and is ready in about 30 minutes! You’ll love the great creamy tomato flavor of this soup, and so will your guests! Plus, the whole house will smell amazing! Love Making Soups and Stews at Home? Follow my Soups, Stews and Chili Pinterest board for lots more inspiration from me and my fellow blogger friends! Follow Juggling Act Mama – Ang Paris’s board Soups, Stews & Chilli on Pinterest. What’s your favorite soup to make? Leave me a comment below – I love feedback from my readers! Unable to get recipe due to error on page. My favorite soups are beef vegetable and homemade tomato. Serve these with cornbread or crackers. I can eat soup anytime of the year. Enjoy blog and recipes. Good job keep up good work. I corrected it in the post, too. Have a great day! Well that is yummy. I think I will show up at your house for dinner sometime. Thank you for linking up to Tips and Tricks. Hope to see you again this week.